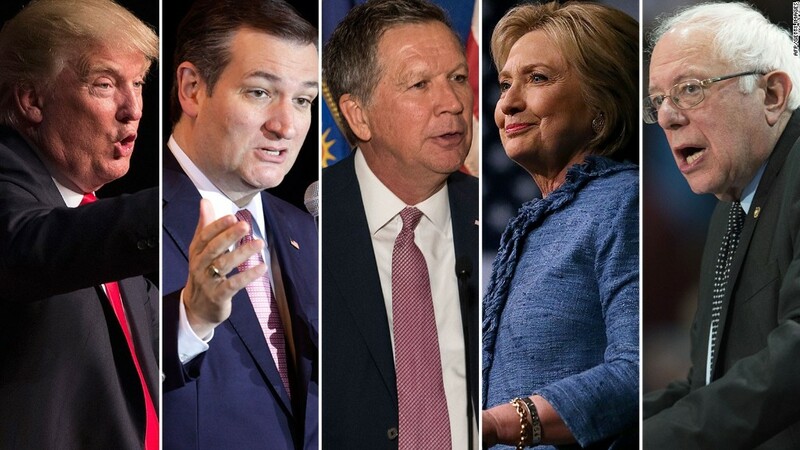 How realistic are candidates' plans to fix the debt? The two leading Republican candidates for president warn the U.S. stock market is trading at an alarming level. On Friday, Ted Cruz predicted a stock market "crash will be coming." Donald Trump calls it a "terrible time" to invest. "We're in a bubble right now," Trump says. It's a high degree of fear from a party that is normally viewed as pro-business and pro Wall Street. Trump recently told The Washington Post that America is on track for a "very massive recession." Cruz and Trump blast America's central bank, the Federal Reserve, for pumping up the stock market to unrealistic levels. "The problem with using monetary policy to juice the system is that it creates bubbles," Cruz said Friday on CNBC's Squawk Box. Trump has similar concerns. In October he told The Hill that he thought Americans were "being forced into an inflated stock market and at some point they'll get wiped out." So what do the experts think? "I agree with them that the market is very richly valued. At some point there will be an adjustment," says Brad McMillan, chief investment officer at Commonwealth Financial Network. But McMillan believes it's too extreme to call it a bubble. The U.S. economy is still in decent shape, he says, and valuations aren't wildly high. The Fed cut interest rates to historically low levels -- near 0% -- at the end of 2008 to try to jumpstart the economy after the financial crisis. Only as recently as December did the Fed raise interest rates a tiny bit: 0.25%. Low rates encourage people to put more money into the stock market since they earn so little interest by saving their money in the bank. Trump has suggested that Fed chair Janet Yellen is trying to help President Obama's economic track record. "Janet Yellen for political reasons is keeping interest rates so low that the next guy or person who takes over as president could have a real problem," Trump said. Yellen dismisses assertions that the U.S. is in an economic or financial bubble. "This is an economy on a solid course, not a bubble economy," Yellen said last week. The stock market hit its highest level in 2016 this week. It's not far from its all-time high that occurred in May of last year. 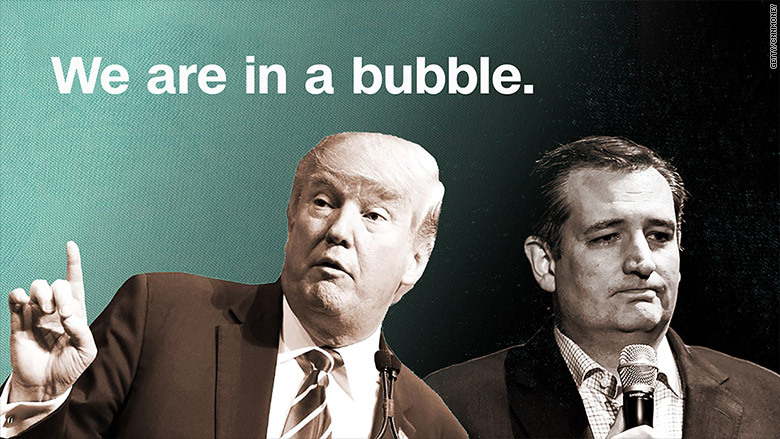 Most investment and economic experts think Cruz and Trump are far too gloomy. Stock prices are higher than they're historic norm, but they aren't at extremes like the dot-com bubble. In order for the stock market to undergo a dramatic decline of 20% or more, it usually takes one (or more) of three shock factors: the economy falling into recession, a mistake by the Fed or oil and other commodity prices spiking. "Right now we don't have any of those three aggravating factors," says McMillian. Investors believe Hillary Clinton would be the best for the stock market, although Trump is a close second. Earlier this month, E*Trade and CNNMoney polled 907 investors with at least $10,000 in online brokerage accounts. Twenty-eight percent said Clinton would be best for stocks. A quarter felt Trump would be the ideal for the market. Only 8% thought Cruz would.